Distributed computing has been pervasive in IT organisations for nearly two decades, but the tables are beginning to turn. Virtual Desktop Infrastructure (VDI), also known as Hosted Virtual Desktop (HVD), is one of the fastest growing trends in IT today, at least in part because of the benefits it offers in management, access, performance and security. 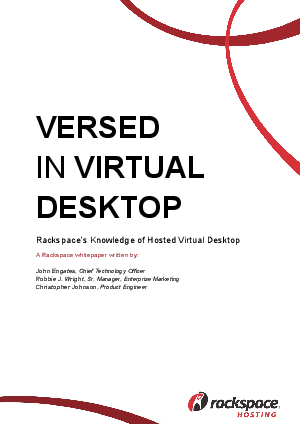 This whitepaper discusses Rackspace's experience in quick deployment and hosting of VDI environments.